Klook Special Offer: Discover the beauty of Sun Moon Lake in 3 different ways! This is real value for money pass. If you bought all these 3 separately (assuming you rented the bike for 3 hours) it would cost NTD 1200 so this is a real bargain. The cable car journey is absolutely breathtaking. I would recommend taking the Crystal car with the glass bottom if you are not afraid of heights. Please note that there is absolutely nothing to do (apart from 1 shop) if you don't want to go to the Aboriginal village once you get off the cable car. If you do want to go to the village they will give you a discount of NTD300. The boat ride was very nice as well with boats every 20-25 minutes on weekdays and 15 minutes on weekends. The bike rental shop was very friendly and gave good quality bikes. We rented our bikes from the shop diagonally opposite 7-11. Highly recommended combo. The Sun Moon Lake Ropeway is one of the best places (if not the best place) to get a view of the breathtaking scenery that encompasses the region. 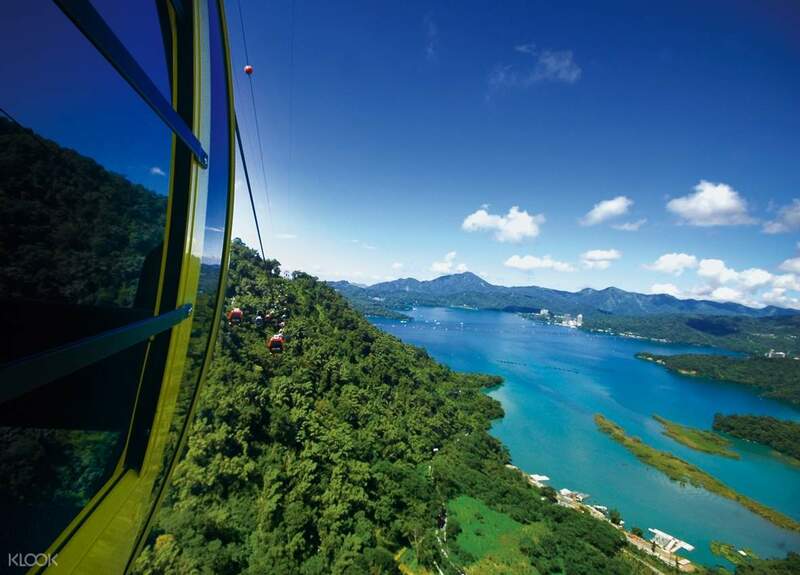 Board the colorful baskets on the ropeway and watch as the land gives way to unveil the sight of a crystal blue lake. It's a stunning sight to enjoy as the lake is hemmed in by lush greenery and hills, with flowers offering a splash of color every now and again. Its scenic views are unmatched and you can enjoy the incredible sights with your roundtrip ticket on the ropeway. 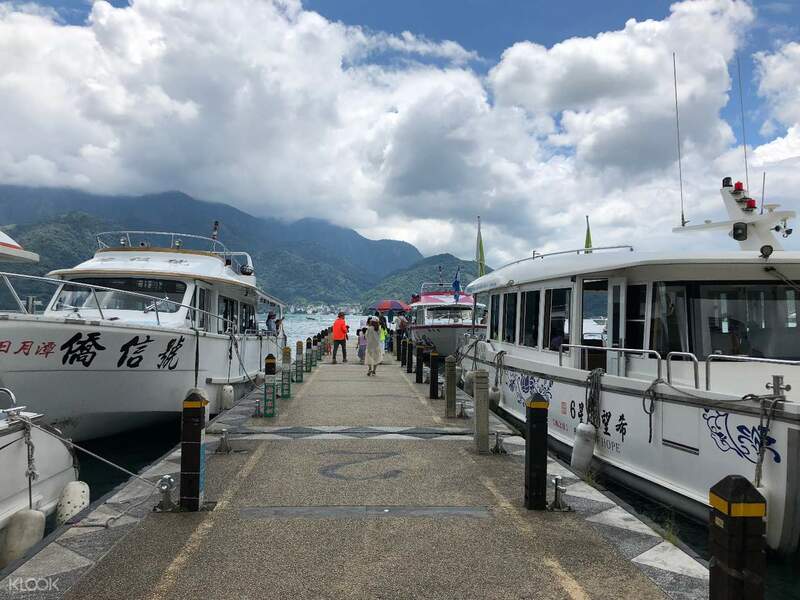 The ticket comes with a day pass for a boat on Sun Moon Lake, which gives you an opportunity to admire the lake from the earth level, right on the surface of the water. It also comes with a rental bike ticket, which allows you to cycle through the vibrant countryside greenery, which allows you to enjoy the fresh air and the sunshine as you watch this landscape go by. The package was really good and very convenient.. I bought the combo of boat, cable car and bicycle. The place to find the boat was very confusing, but i managed to found it. The boat staff located at the end of the corner and wearing the blue vest. Please search the hanging blue vest, and wait the boat there. I manage to take the cable car but unfortunately there was thick fog during my visit. Because of limited time, i not managed to use the bicycle. 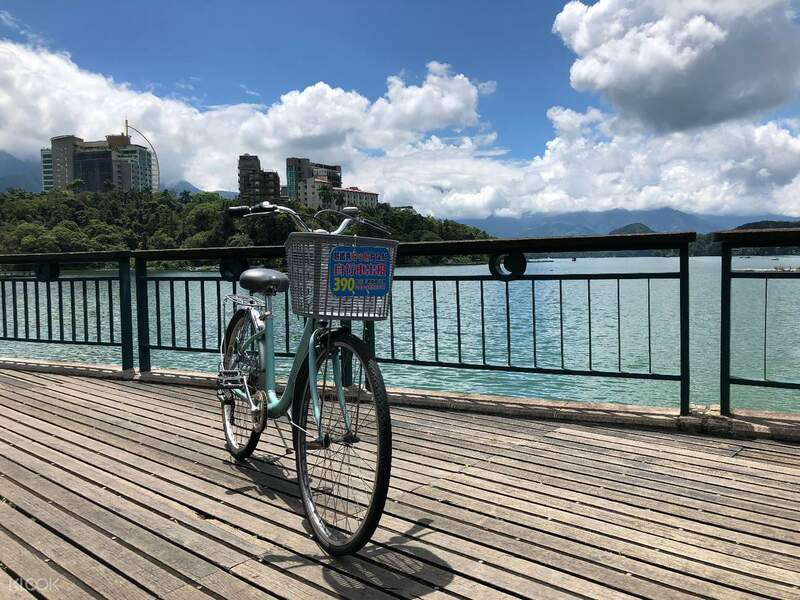 My advice, if you want to come to sun moon lake, make sure to go there for 1 day trip. The package was really good and very convenient.. I bought the combo of boat, cable car and bicycle. The place to find the boat was very confusing, but i managed to found it. The boat staff located at the end of the corner and wearing the blue vest. Please search the hanging blue vest, and wait the boat there. I manage to take the cable car but unfortunately there was thick fog during my visit. Because of limited time, i not managed to use the bicycle. 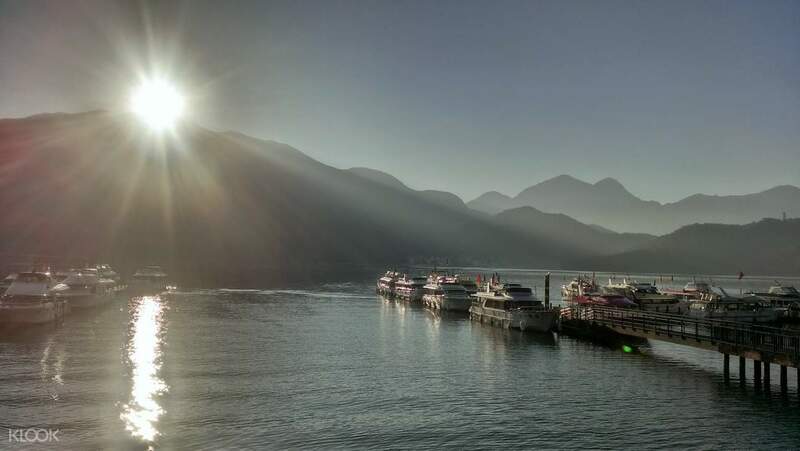 My advice, if you want to come to sun moon lake, make sure to go there for 1 day trip. Best price guaranteed when you book with Klook. Price was worth the boat ride + cable car + bike rental. A very relaxing place to relax away from the hustle and bustle of the city. Best price guaranteed when you book with Klook. Price was worth the boat ride + cable car + bike rental. A very relaxing place to relax away from the hustle and bustle of the city. This is real value for money pass. If you bought all these 3 separately (assuming you rented the bike for 3 hours) it would cost NTD 1200 so this is a real bargain. The cable car journey is absolutely breathtaking. I would recommend taking the Crystal car with the glass bottom if you are not afraid of heights. Please note that there is absolutely nothing to do (apart from 1 shop) if you don't want to go to the Aboriginal village once you get off the cable car. If you do want to go to the village they will give you a discount of NTD300. The boat ride was very nice as well with boats every 20-25 minutes on weekdays and 15 minutes on weekends. The bike rental shop was very friendly and gave good quality bikes. We rented our bikes from the shop diagonally opposite 7-11. Highly recommended combo. This is real value for money pass. If you bought all these 3 separately (assuming you rented the bike for 3 hours) it would cost NTD 1200 so this is a real bargain. The cable car journey is absolutely breathtaking. I would recommend taking the Crystal car with the glass bottom if you are not afraid of heights. Please note that there is absolutely nothing to do (apart from 1 shop) if you don't want to go to the Aboriginal village once you get off the cable car. If you do want to go to the village they will give you a discount of NTD300. The boat ride was very nice as well with boats every 20-25 minutes on weekdays and 15 minutes on weekends. The bike rental shop was very friendly and gave good quality bikes. We rented our bikes from the shop diagonally opposite 7-11. Highly recommended combo. The voucher made the experience fuss free & it was relatively easy to find the right vendors. Don't forget to note down the instructions as to which bike rental shop to go to, which boat service to look out for and you should be all set. The voucher made the experience fuss free & it was relatively easy to find the right vendors. Don't forget to note down the instructions as to which bike rental shop to go to, which boat service to look out for and you should be all set. This option was definitely cheaper than the pass, as we didn’t want the bus around the lake because the boat took us to all the main spots. The cycle route is gorgeous and definitely the highlight. Didn’t find the cable car had wow factor but was pleasant. This option was definitely cheaper than the pass, as we didn’t want the bus around the lake because the boat took us to all the main spots. The cycle route is gorgeous and definitely the highlight. Didn’t find the cable car had wow factor but was pleasant. We enjoyed our SunMoon Lake combo ropeway although the redemption is quite hard to find in exchange for the physical ticket. The bike ride was fun and one of the highlights of our tour. We enjoyed our SunMoon Lake combo ropeway although the redemption is quite hard to find in exchange for the physical ticket. The bike ride was fun and one of the highlights of our tour.